A miniature of a truly delicious Kavalan, one of our very favourite releases from the Taiwanese distillery. This single malt undergoes a finishing process in former Port wine casks, which impart a sweet, fruity flavour to the spirit. 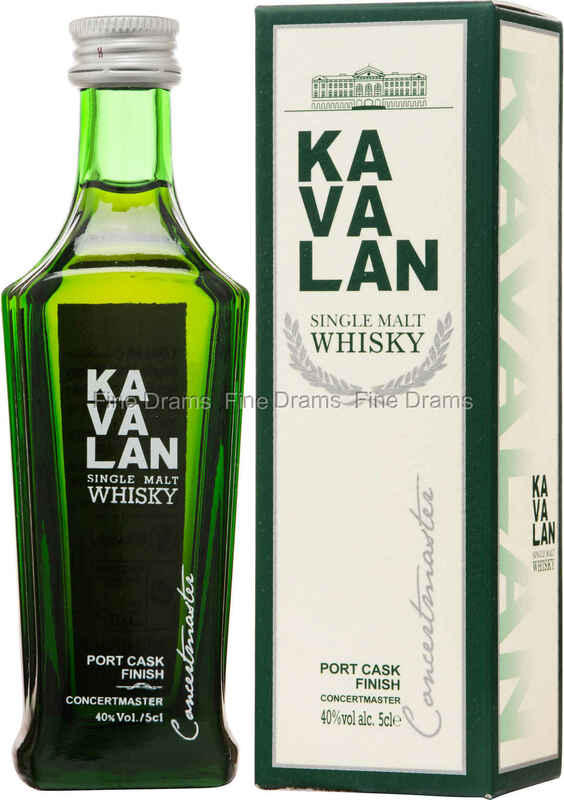 Kavalan Concert Master serves up notes of toffee, red fruit, sweet wine, vanilla, toasted oak, warm malt and cherries. This miniature offers an affordable chance to try one of the world’s great whiskies without committing to the cost of a full bottle.